Your Illinois Hunt of a Lifetime Awaits. 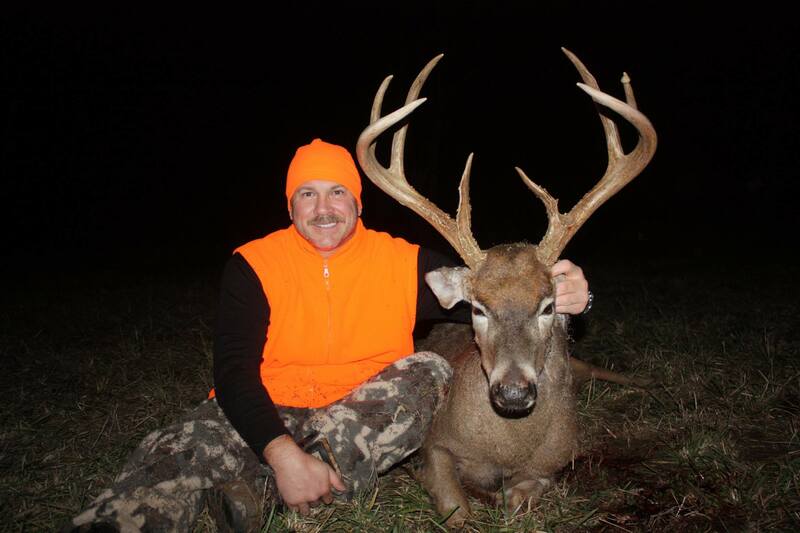 Our goal is to provide you with the biggest TROPHY Illinois whitetail of your life! In the past 11-years our clients have taken hundreds of bucks over 150 and 91 Boone & Crockets. We have 600 strategically placed treestands and 300-acres of food plots. 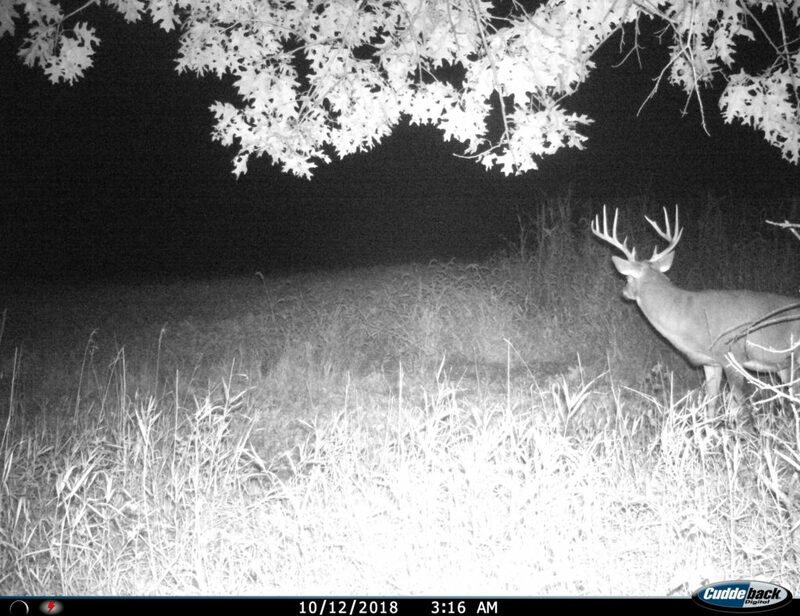 We have been in business since 1998 and our trailcam photos and trophy galleries are proof that big opporunities arise when hunting on GTW grounds. We offer the perfect mixture of strictly managed land, exclusive hunting rights, guides who are not allowed to hunt, and trail cam technology to provide our hunters with records book bucks year after year. From the time you pull into camp, you know this place is first class. Head guide Kyle has his guys working smart and hard to ensure your hunt is a successful one. The amenities are designed to give you a good nights sleep while dreaming of that 180″ Illinois Buck that will be waiting just upwind of your stand. The food is prepared fresh daily and puts an exclamation point of each day’s hunt. All that’s left for you to do is make the shot. Just got back from 12/3-6th trip, loved it! Loved the facilities, Mike & Kyle were great hosts, Brandon did a great job putting us in great spots on farms, me & my buddy shot great deers, food was top quality, roommates were all great people, made some new friends! Next Dec can’t get here fast enough!! Thanks Mike for the great experience at Golden Triangle Outfitters, each aspect of the hunt was geared towards an opportunity to bag a great trophy deer. The food, and accommodations were first class. Kyle thanks for your hard work, it paid off, look forward to 2016 Muzzle Loader season. 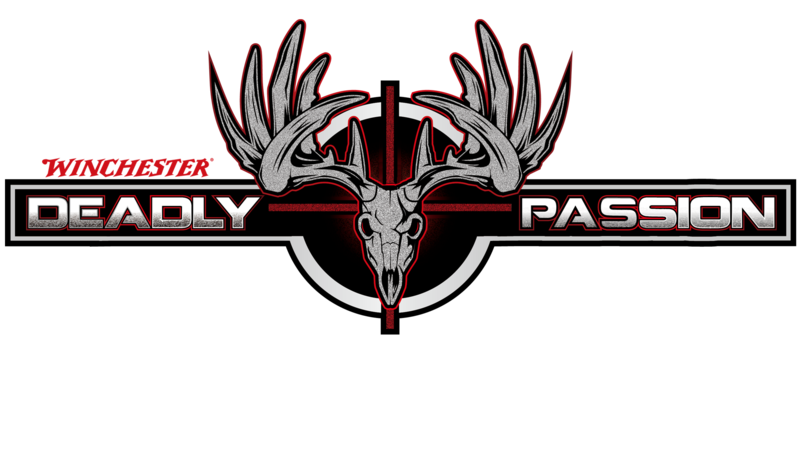 Welcome to Golden Triangle Whitetails, we are a fully guided whitetail outfitter in the heart of Illinois’ big buck country. We own exclusive hunting rights on over 11,000 acres in Pike, Brown, Adams, and Schuyler counties. If you are looking for a trophy buck, quality hunt, and the very best accommodations, we invite you to contact us today. 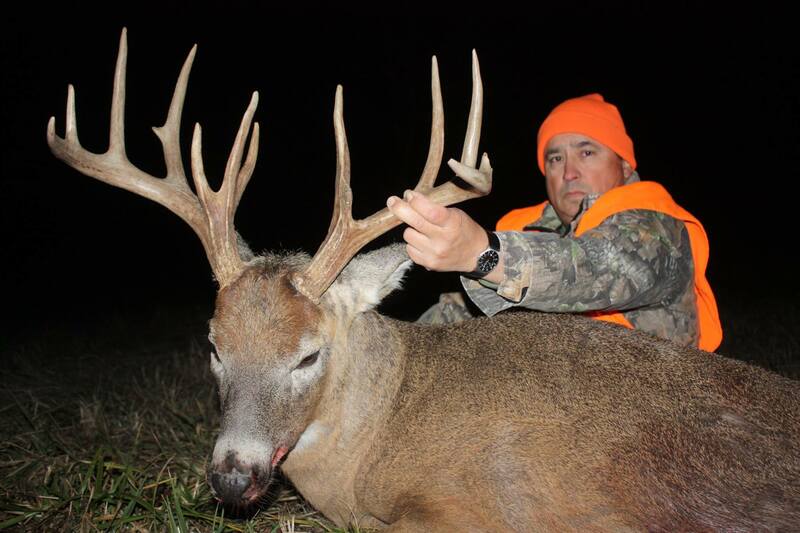 Here at GTW, our goal is to provide you with a trophy buck, quality hunt, and an unforgettable experience. 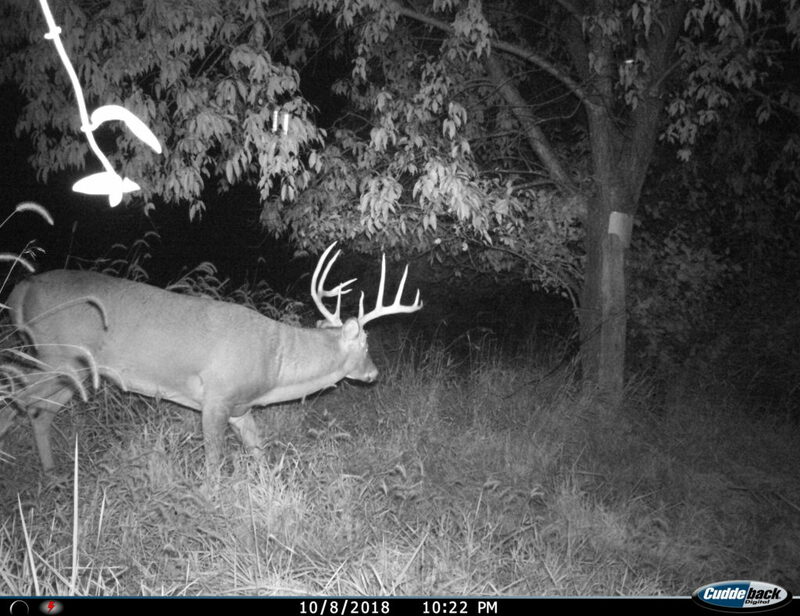 We have been in business since 1998 and our trail-cam photos and trophy gallery is proof that big opportunities arise when hunting on GTW grounds. 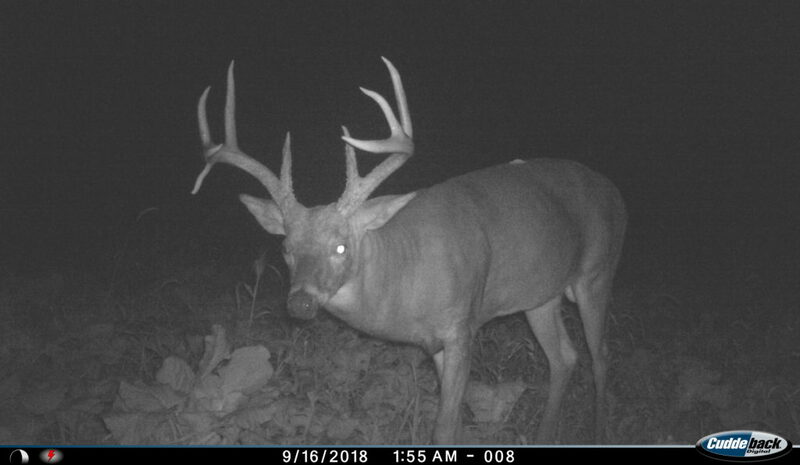 We offer the perfect mixture of strictly managed land, exclusive hunting rights, abundant food supply, and trail-cam tracking technology to provide our hunters with Pope & Young and Boone & Crockett record bucks year after year. Each guide takes 2-3 hunters on a 600-800 acre tract of ground that he has scouted and guided year after year. GTW owns over 500 time tested tree stands so each guide can ensure quality stand placement for every phase of the rut and various wind conditions. Our professional guides understand the importance of stand placement and will always work to provide you with the best possible opportunity. Unlike other outfitters, our guides are never allowed to hunt on GTW property. We strictly enforce this rule because your guides job is to get you a trophy buck, not have you “scout” for theirs. Each Spring GTW farms over 300 acres of food plots spread across over 100 different locations. 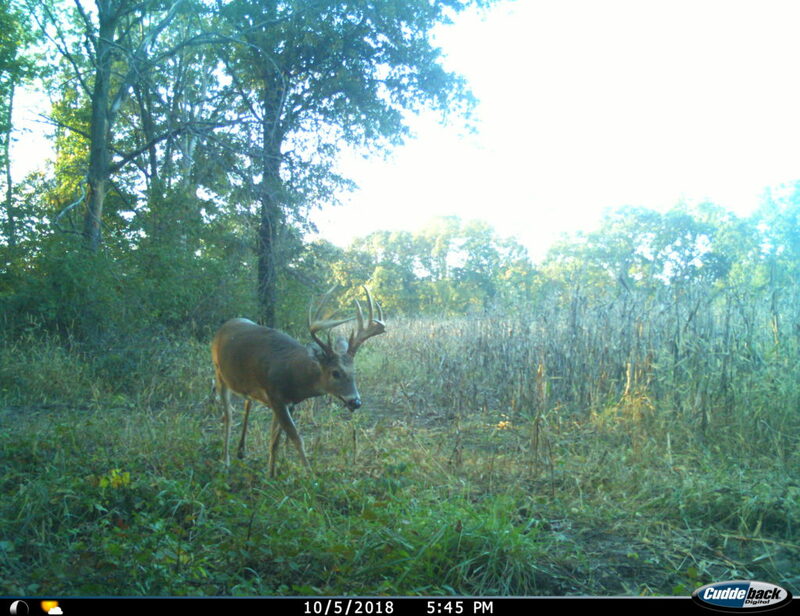 Each 1-5 acre plot of beans, corn, or clover ensures a high concentration of deer during both the pre-rut and post-rut season. This is a high-cost and labor intensive venture but also GTW’s key ingredient in maintaining trophy whitetails. At GTW we stand above our competition because of our extreme quality management techniques. Firstly, we do extensive research on each farm before a purchase or lease agreement is made and only keep farms that meet our standards. Second we own exclusive hunting rights to each property and don’t let anyone on our farms before the third week of October to ensure minimal pressure. Third we farm 250 acres of food plots to ensure a high concentration of deer. Finally we limit the amount of hunters we take on each property, not the amount of bucks we harvest. We also expect each hunter to harvest a mature 140″+ buck, and fine our hunters for anything under a 125”. 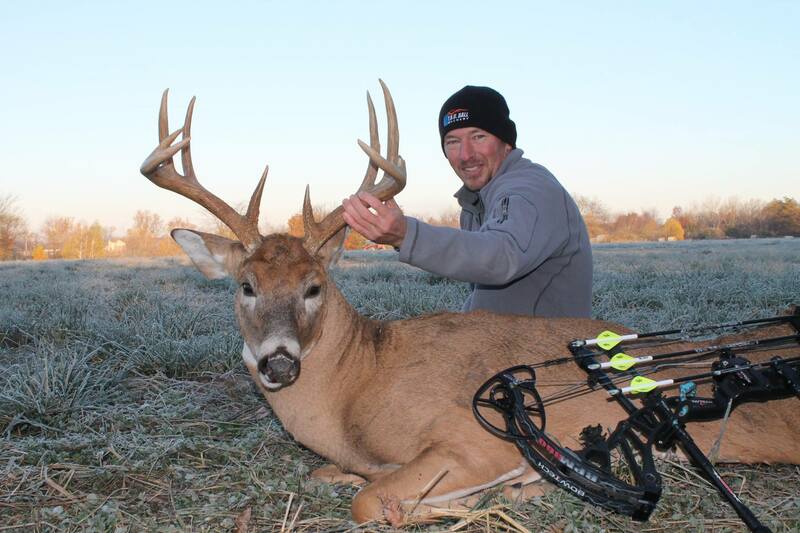 Since 1998, GTW has been in numerous publications, broadcast on multiple television networks, and been a national focal point for trophy whitetail hunting. If you are serious about whitetail hunting, you owe it to yourself to hunt on low pressure, quality-managed ground in an area known for the highest concentration of trophy bucks in North America, combined with knowledgeable, seasoned, and experienced guides working only for you. 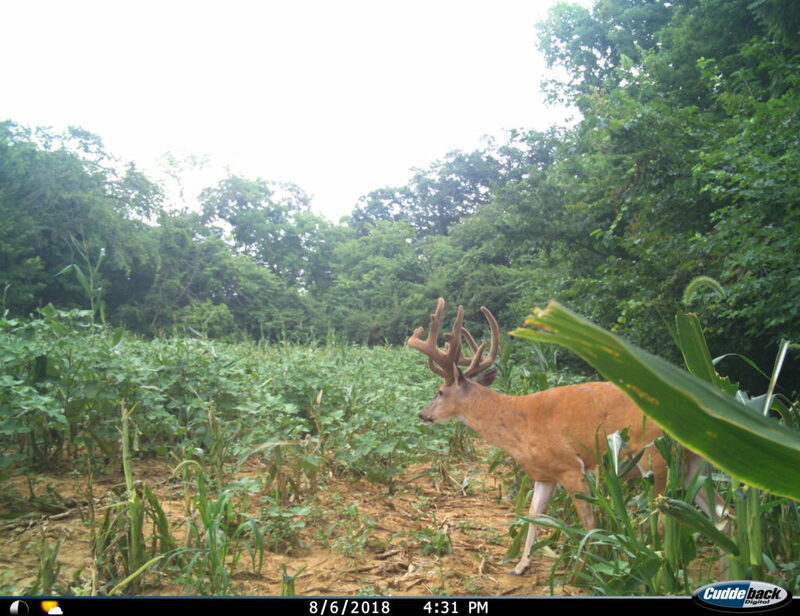 Spots are limited and 70% + of our hunters come back year after year, so if you want to be one of our 60%+ bow hunters who get a shot at a Pope & Young buck, book your hunt by contacting us today.